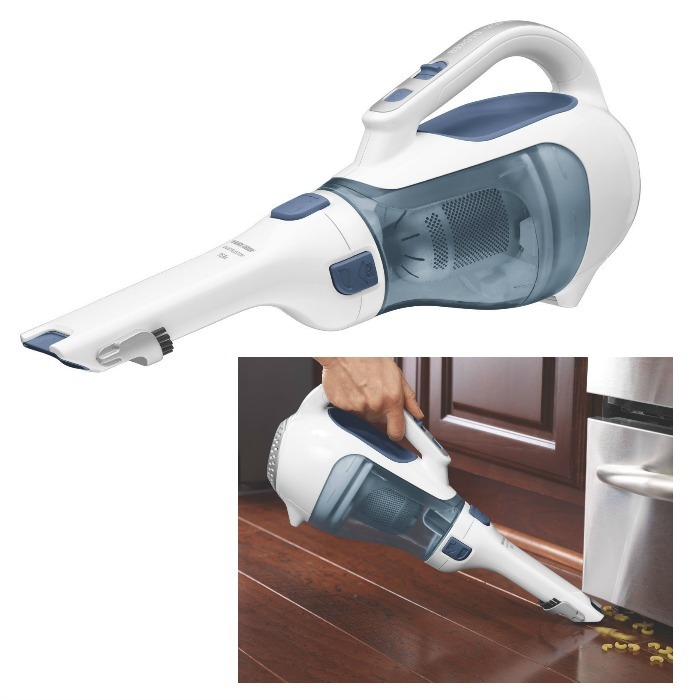 Black+Decker Hand Vacuum Just $19.99! Down From $45! You are here: Home / Great Deals / Amazon Deals / Black+Decker Hand Vacuum Just $19.99! Down From $45! Amazon has this Black+Decker Hand Vacuum for just $19.99 (Reg. $48)! The Black & Decker CHV1510 boasts an innovative shape that allow users to operate the tool in ways that traditionally-shaped hand vacs haven’t performed. The rotating, slim nozzle design targets dirt in tight spaces, and, with over fifty percent more reach than previous Black & Decker models, the extension crevice tool lengthens, gaining accessibility. Additionally, the flip-up brush offers multiple cleaning functions without the hassle of loose accessory pieces..